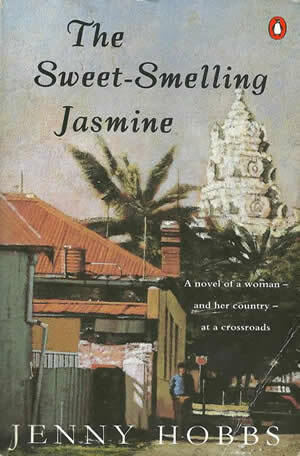 The Sweet-Smelling Jasmine (Michael Joseph, London, 1993; Penguin, London, 1994) moves between the early 50’s and the present. It centres on an unhappy wife whose new lover encourages her to delve back into the dramatic events of a year in their shared past in a racially mixed town on Natal’s South Coast, when community unrest culminated in rioting and the destruction of a Hindu temple. Jasmine was submitted by South African librarians for the Irish Impac Award, and published by Econ Verlag in Germany under the title Zeit des Jasmin.